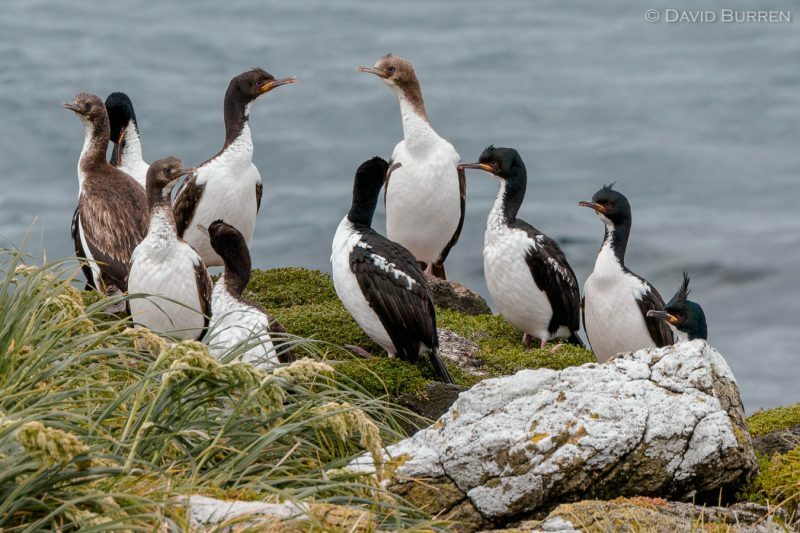 These Auckland Island Shags are a species endemic to the Auckland Islands, where I photographed this group last December. The difference in colour between the juveniles and adults is quite striking. A “gulp” is the collective noun for cormorants/shags. We will be returning to this location in December 2016 as part of our Subantarctic LuminOdyssey photography workshop tour.